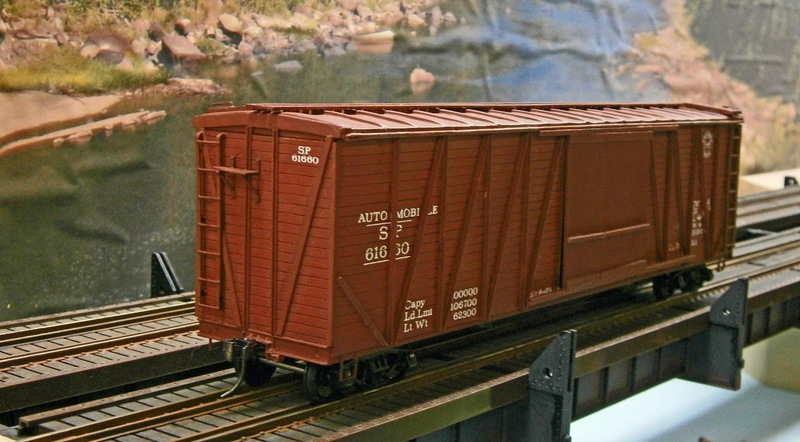 Some time back, I wrote a post about an old school "box of sticks" boxcar kit that I had nearing completion after starting it more than 20 years previous (see Oldie But Goodie?). Well it's taken a couple of more years to finally get it done but, as you can see, it's on the layout, painted and operational. There was a great sense of satisfaction in finally finishing this project. 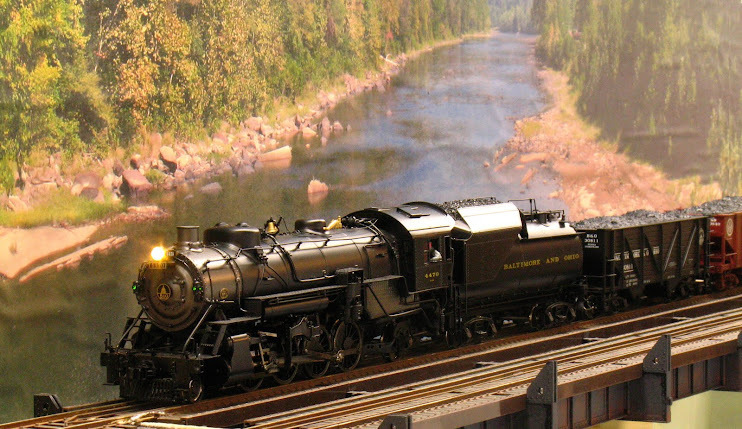 This is in spite of the fact that I could have purchased an Atlas O Trainman model of essentially the same prototype for about $42, taken it out of the box, put it on the rails and have been done with it. Arguably my model is inferior to the Trainman RTR. My model is missing a few details (most notably some of the grabs and the brake staff and wheel, which I will remedy); however, my brake rigging (borrowed from an Intermountain kit) is freestanding rather than the cast on blobs of the Trainman. Where a kit like this really shines is in confidence building. It probably took me as long or longer to build this kit as it would have taken to scratch build it. However, faced with the terra incognita of scratch building this prototype, I might never have started. The kit gave me a road map, however sketchy, for turning a box of sticks into a boxcar; and the confidence that someone, somewhere at some time thought that this could be done, therefore I should be able to do it as well. It's a shame that these types of kits are no longer available as I have found that they can be great builders of proficiency. But wooden kits have long been relegated to ancient history and the more recent cast-resin kits are on their way out as the makers of resin kits retire. Speaking of cast resin, I have a bunch of these kits and one is under construction and is next up for completion after I finish a Red Caboose tank car kit. Stay tuned.